The workplace is rapidly transforming, and jobs increasingly require digital skills. Jobseekers, employees and the self-employed, will all need to improve their skills to fully participate in the digital economy, maximise their earning potential and take advantage of the new and diverse range of opportunities available. In 2015, Google pledged to help 250,000 SMEs grow by increasing their digital capability. They aim to achieve this in a variety of ways, such as helping businesses to create their own website, teaching them how to drive traffic to their web pages or even helping them understand how to increase their social media presence. Following the launch of the West Midlands Digital Skills Partnership in December 2018, training to enhance digital skills is being offered throughout the region in partnership with Google Digital Garage and local partners. Google is committed to help 100,000 people across the UK find a job or grow their career with new digital skills by 2020. This figure is a measure of actual economic impact, the number of people trained will be far greater. 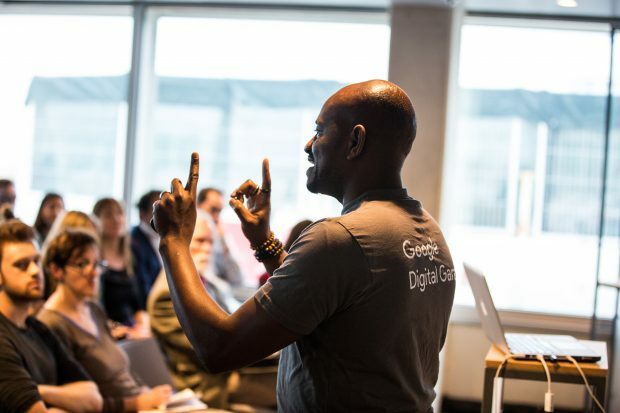 The West Midlands Digital Skills Partnership and Google Digital Garage will tap into their combined repository of digital knowledge to offer help to anyone interested in improving their digital skills. 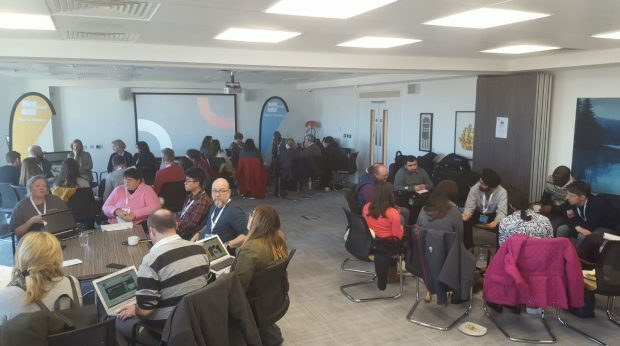 The first workshop arranged through the partnership was aimed at charities and third sector organisations at the Bond Company in Digbeth on 31 January, where Google Digital Garage trainers shared their knowledge around writing for social media and helped charity staff understand their organisations’ data. This was followed by mentoring from local gurus, who worked with smaller groups to look at the individual issues they needed to tackle to get them on the right path. The second workshop on the 28 February was hosted at The Hub, which is part of Walsall College, and was aimed at students, budding entrepreneurs and small businesses. Attendees benefited from Google’s knowledge, with sessions covering an introduction to digital marketing, how to create effective presentations for work, and self-promotion skills and self-belief. I like to make sure that every participant leaves with at least one new skill or piece of knowledge that they can use straight away to help them grow either professionally or personally. Everyone we meet has their own needs and requirements which means every session is different and there's always new avenues of learning to explore. I love the moment when somebody suddenly understands and becomes fully engaged in what we are doing, it is incredibly rewarding. It doesn’t end here though: the Google Digital Garage team will be travelling throughout the rest of the West Midlands over the next ten months, stopping at Dudley next on the 29th March, where attendees can learn how to build their own personal brand online! Why not sign up and join us next week! The people I spoke to at the event felt the training would boost their businesses, making them more productive and professional – and the support continues after the session. Google has developed an online portal which allows attendees to continue on their quest for knowledge at their own pace. You don’t have to have attended a session to benefit from the range of free learning content designed to help grow your business or jump-start your career. Learners can even take a series of tests that lead to a Google Digital Garage certificate - great for CVs and online profiles to demonstrate enhanced employability. The West Midlands Digital Skills Partnership will develop a host of training opportunities in fields as diverse as animation and artificial intelligence to cyber security and coding. Open to people and businesses across the West Midlands, skilled staff will continue to fuel the fastest-growing digital sector outside London. In order to keep growing, we need a pipeline of skilled people in the West Midlands. The partnership will continue to provide these kinds of opportunities and develop new career pathways to support the recruitment and retention of digital staff in the region. If you are interested in learning more about how you can benefit from the West Midlands Digital Skills Partnership, visit our page for further details.